While its northwestern neighbours on the Arabian Peninsula are fixated with all things bigger, taller and glitzier, Oman has remained gracefully low‑key—this was immediately apparent when we arrived in the capital Muscat, where the city skyline boasts no glittering skyscrapers, only whitewashed low-rise buildings. There are the occasional grand flourishes: the Sultan Qaboos Grand Mosque once held the title of the world’s largest hand-woven carpet in its main prayer hall, but Abu Dhabi’s Sheikh Zayed Grand Mosque has since taken the reign. Oman doesn’t define itself in superlatives, but would rather let its beauty speak for itself. Since coming into power in 1970, the long‑reigning monarch, Sultan Qaboos Bin Said Al Said, has transformed an impoverished backwater into a modern state, while preserving much of its cultural heritage. And unlike its neighbours who have a predilection for ostentation, Oman’s natural landscapes take centrestage—as we discovered during our specially curated seven‑day journey across the sultanate with luxury tour expert Scott Dunn. Oman is gearing up for a shift towards a post‑oil economy, and tourism is one of the critical sectors in its diversified revenue streams. The opening of the new Muscat International Airport in March bolsters this strategy, and visitor numbers are projected to increase by 40 per cent in 2019. Like every Omani adventure, ours began in the capital. First stop: the aforementioned Grand Mosque, a fine example of traditional Islamic architecture, built in 2001, with its sandstone structure defined by a golden dome and five minarets. One of the world’s largest crystal chandeliers hangs from its ceiling, and the interiors of the country’s largest mosque, which can accommodate 20,000 worshippers, feature stunning stained-glass windows, elaborate mosaic murals and intricate wood carvings, all depicting Omani motifs. As grandiose mosques go, we liked that this one is classic and pared-down considering it’s still an actual place of worship. Another architectural marvel you have to see is the Royal Opera House Muscat, built in 2011 by the order of the sultan who wanted to share his love for the arts with his subjects. With a design that reflects the style of modern Omani palaces, Middle East’s first opera house is the stage for operas, ballets and orchestras. With just 158 rooms and suites set within symmetrical Zen gardens, The Chedi Muscat is the Omani capital’s most exclusive address, located just 15min from the Muscat International Airport. Flanked by the rugged Al Hajar Mountains and a stretch of private beachfront, the Jean-Michel Gathy-designed hideaway fuses chic minimalism with Omani nuances. Between the property’s three swimming pools, one takes the honour as the region’s longest at 103m (pictured). As Muscat is a city where the old meets the contemporary, a drive around Old Muscat town is necessary to discover its historic charms such as the 16th‑century Portuguese fortresses Jalali and Mirani. We also headed to the nearby Muttrah Souk, where we rubbed shoulders with the local folk—the men in their dishdasha robes worn with turbans or embroidered kummah caps, and the ladies in their abaya dresses with headscarves—as we navigated the market’s labyrinth of narrow alleys, lined with stalls selling everything from silver trinkets and khanjars (Omani daggers), to textiles and spices including frankincense, Oman’s most valuable ancient commodity. This aromatic resin from the Boswellia tree, which grows mainly in southern Arabia, boasts numerous health benefits, including boosting immunity. Omani tradition meets European luxury at Kempinski Hotel Muscat, located a mere 10min from the Muscat International Airport. With a facade inspired by the landscape of Old Muscat, and tucked within the exclusive enclave of Al Mouj, the new heart of the city, this family-friendly hotel is surrounded by retail and dining facilities, a 400-berth marina, and Oman’s only PGA-standard, 18-hole golf course designed by Greg Norman. While Oman’s location in the southeastern tip of the Arabian Peninsula offers a spectacular coastline that stretches for 3,165km, its mountainous interiors are no less spectacular. The Omani hinterland is separated from the coast by the Al Hajar Mountains, which stretches from Muscat, through the north of the country and beyond, and the landscape changes dramatically fairly quickly. We drove through winding roads up one of its peaks, Jabal Akhdar, but not before passing the ancient city of Nizwa, once the Omani capital and a trading centre in the sixth and seventh centuries. The remnants of this bygone era remain visible in the ruins of the Birkat Al Mouz, a stark contrast to its verdant date palm surroundings. The traditional Omani falaj irrigation system, which relies on water stored underground, still runs through this ghost town. Our ascent of the mountain eventually brought us to the Saiq Plateau, some 2,000m above sea level, the spot for Anantara Al Jabal Al Akhdar, the highest resort in the Middle East. Britain’s late Princess Diana visited the site with Prince Charles in 1986, when it was still untouched wilderness, and this idyllic viewpoint is immortalised with Diana’s Point, the spot for many a romantic dinner and wedding proposals, or in our case, a morning yoga class. Between executing sun salutations and admiring the view before our eyes, we experienced an existentialist conundrum as we realised that we’re just a speck of dust amid the majestic glory of mother nature. From hiking, rock climbing to mountain biking, there are many ways to be active at Jabal Akhdar, but what was most memorable for us was walking through three mountain villages in the area where we discovered cliff-hanging terrace farms that offered a bounty of natural vegetation. These included pomegranates, apricots, olives and pears, all nourished by mountain spring flowing through the falaj. Damask roses also bloom here from March until mid-May, and we were lucky to come across a distillery making rose water the age-old traditional way using a fire clay oven. After the mountain respite, we continued on our journey with a pit stop at the famous Nizwa Cattle Market, where local farmers gather to trade livestock, especially cows, goats, sheep, and even camels, auction‑style—a sight you can only see on Friday mornings. Canyon, cliff or garden, whatever your pick, the views are picture-perfect at Anantara Al Jabal Al Akhdar, the highest five-star resort in the Middle East, no matter the angle. Taking pride of place on the rocky Saiq Plateau on Oman’s Green Mountain, the resort is perched at over 2,000m above sea level overlooking stunning views of the great canyon. Scale the Jabal Activity Wall to get your heart pumping, but if that adrenaline rush is not for you, morning yoga on Diana’s Point is enough to get your heart rate up. No trip to the Middle East is complete without a desert experience. One of the choice spots in Oman is Wahiba Sands, where the rolling dunes reach up to 200m high. We stopped first for bittersweet cardamom coffee and dates with a Bedouin family, whose teenage son regaled us with stories of camel racing, which sees “the ships of the desert” moving at speeds of up to 65km/h. But worry not, there's no betting involved. We’d have stayed longer to soak in the traditional Omani hospitality but alas, the dunes beckoned—it was time for us to unleash our inner beasts (or banshees!) in a four-by-four rollercoaster ride through the hillocks. That was all the excitement we could handle for a day, so we retired early at the Desert Nights Camp for one more sleep, before we travelled back to Muscat—this time via the scenic coastal route towards the city of Sur on the Gulf of Oman, via the river valley Wadi Bani Khalid. This lush oasis in the middle of the arid desert is perfect for a picnic and swimming, but we were contented just dipping our toes in its cool turquoise waters. From rugged mountains and sweeping coastlines, to rolling dunes and lush oases, Oman is a country of many landscapes, but our trip only touched the surface of what this country has to offer—definitely one more reason for us to return. If you want to live it up in the desert, then the Desert Nights Camp is as luxurious as it gets. Just 15km into the Wahiba Sands, a three-hour drive from Muscat, the camp offers 30 Bedouin-style air-conditioned tents that comes with all the creature comforts—en-suite bathrooms with hot showers included. Consider your desert nights well spent at the dining and recreation area, where you can face time with the star-filled sky, while nursing a glass of mint tea. Scott Dunn offers luxury seven-night tailor-made itineraries to Oman. 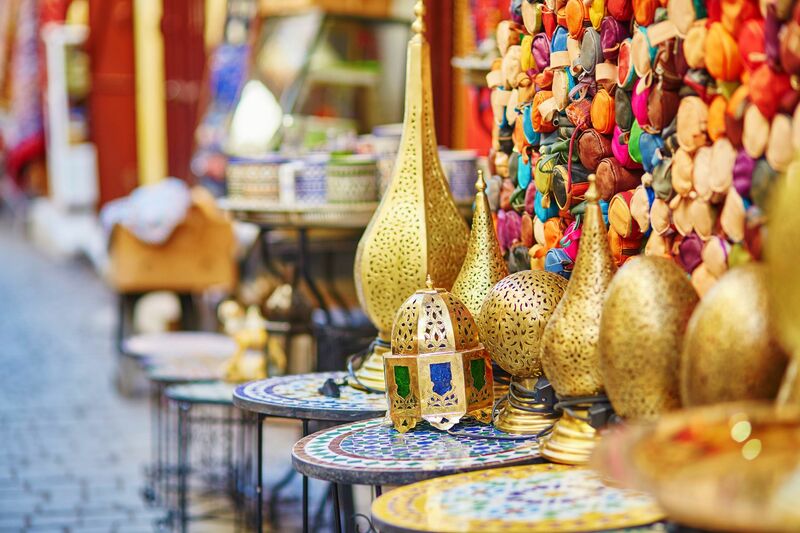 Whether it’s a cultural journey, a culinary adventure or a romantic honeymoon you are after, the luxury tour expert can craft something special just for you. For more information, call 3158 6530.